I have the same complaint keeps saying I have no memory left when I delete all messages now I can't access my contacts. I have already had the phone taken in to have the softwear upgraded and it's only a year old. I will be getting rid of this phone in the New Year and purchasing a Samsung. my fon is automatically turning on and off, i cannot access my whatsapp y? Mykie, 30 Nov 2014How to free my space on my phone memoryMy nokia asha 306 says i dnt hav memory but i have nothing on my phone including messages..i can't even see my phone book. What seems to be a problem? m hurt cos i uses nokia ol my lyf nd nw hav to consider ada providers.cnt access my mail acc nd hav to delete my data nd apps continuously to fri sum space even wen der is nothing stored on phone.m hurt cos i trusted nokia. Anyone tell my does it have a smooth touch? 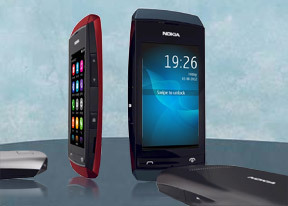 my nokia asha 306 automatically switched off,when Iturn it on after one second itself turns off. i can't even dial a friend's no.it just disconnect itself please help.